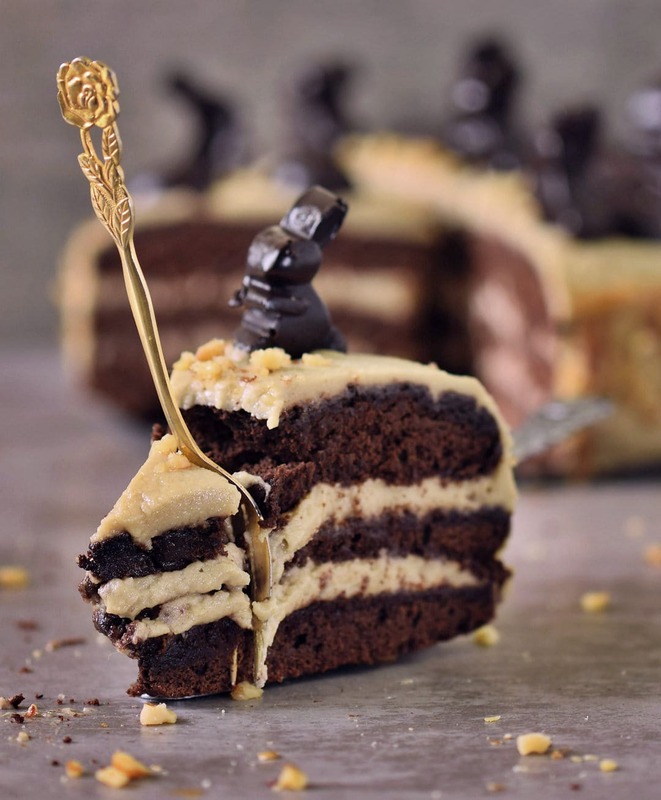 Peanut butter chocolate cake, so rich and creamy! This blog post is sponsored by BIO PLANÈTE, all thoughts and opinions are my own. Easter is around the corner and of course, I had to make a delicious cake! 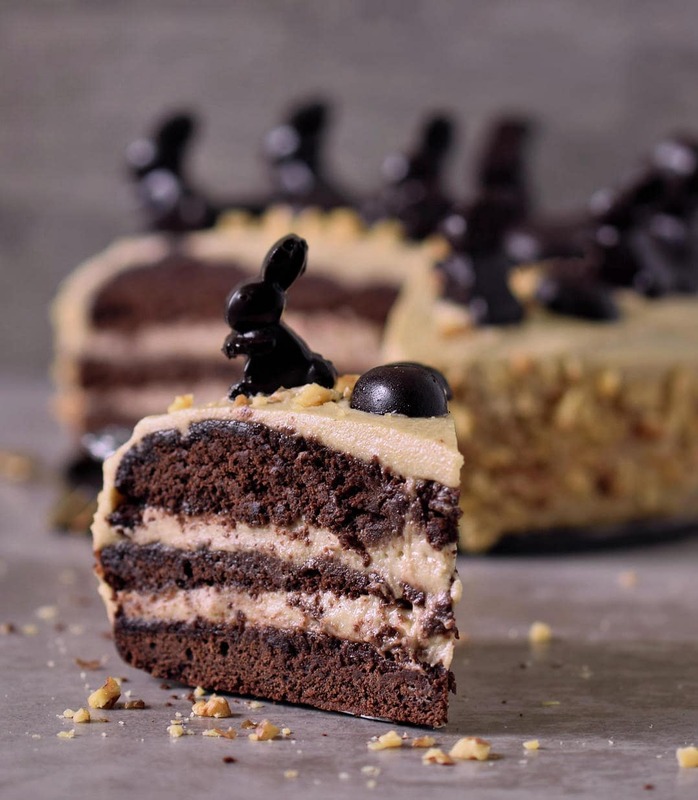 Since I already have a carrot cake on my blog, I thought it would be a great idea to make a peanut butter chocolate cake and decorate it with cute chocolate bunnies and eggs. 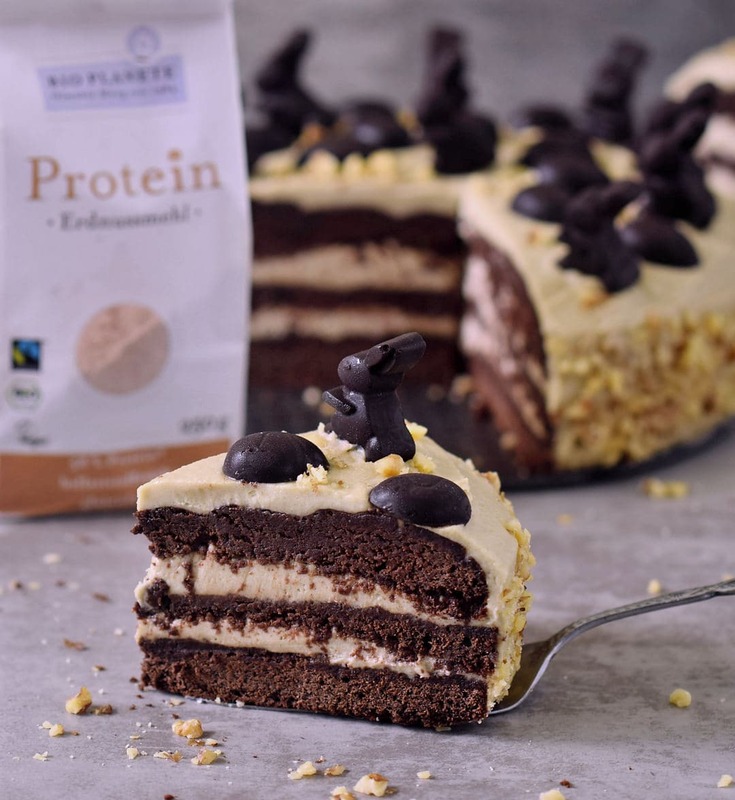 This peanut butter chocolate cake is super rich, chocolatey, fudgy and creamy even though it’s vegan and gluten-free! The cake is similar to my chocolate zucchini cake, which is one of the most popular recipes on my blog. However, this time I didn’t use zucchini, and instead of just two layers, I made three layers. This way you can include more of the buttercream, which tastes heavenly btw. 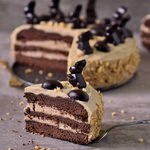 Since this peanut butter chocolate cake is gluten-free, I used only gluten-free flours, like rice flour (you can choose between white and brown rice flour). 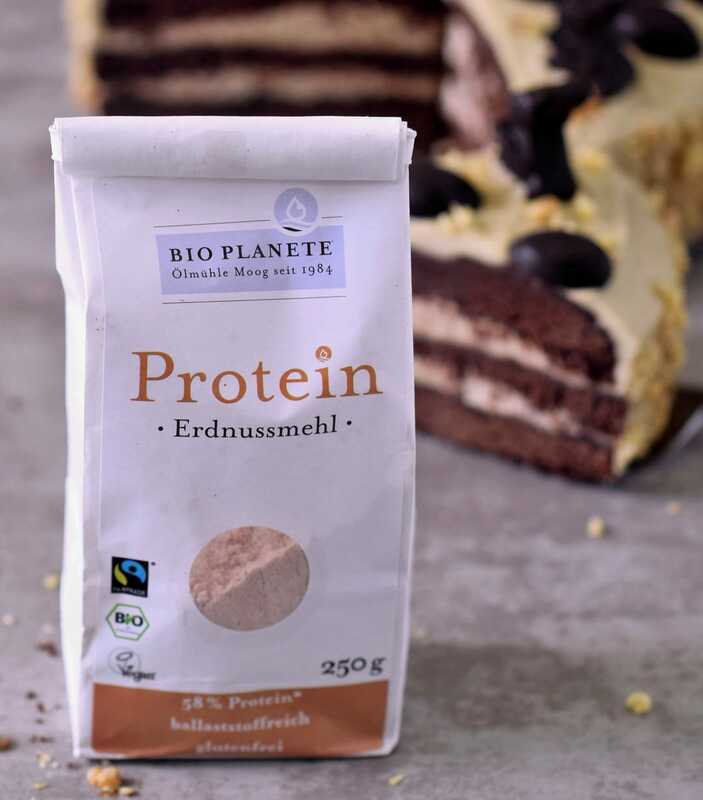 I also added organic peanut flour from Bio Planete because it’s high in protein (it contains 58% protein!) and adds a very nice flavor. The buttercream is, of course, also vegan. I used margarine, but you can use any vegan butter instead. And since this is a peanut butter cake, I also included smooth peanut butter which made the frosting even more delicious. 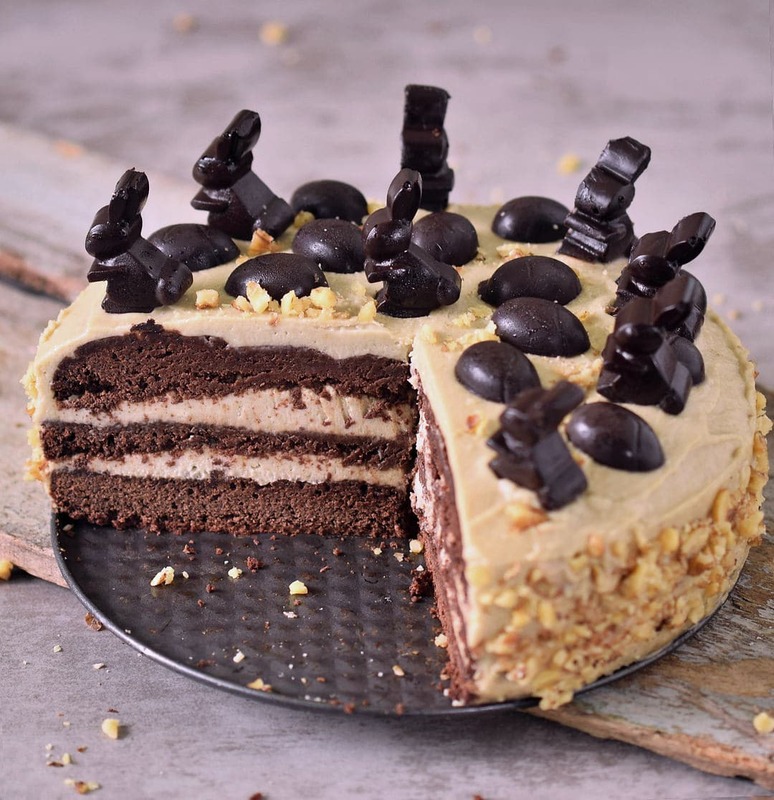 You can decorate your peanut butter chocolate cake as per your liking. You could, for example, add more frosting as decoration, or you keep it simple, like I did, and put some chocolate bunnies and eggs on top. They are not only cute but also delicious. 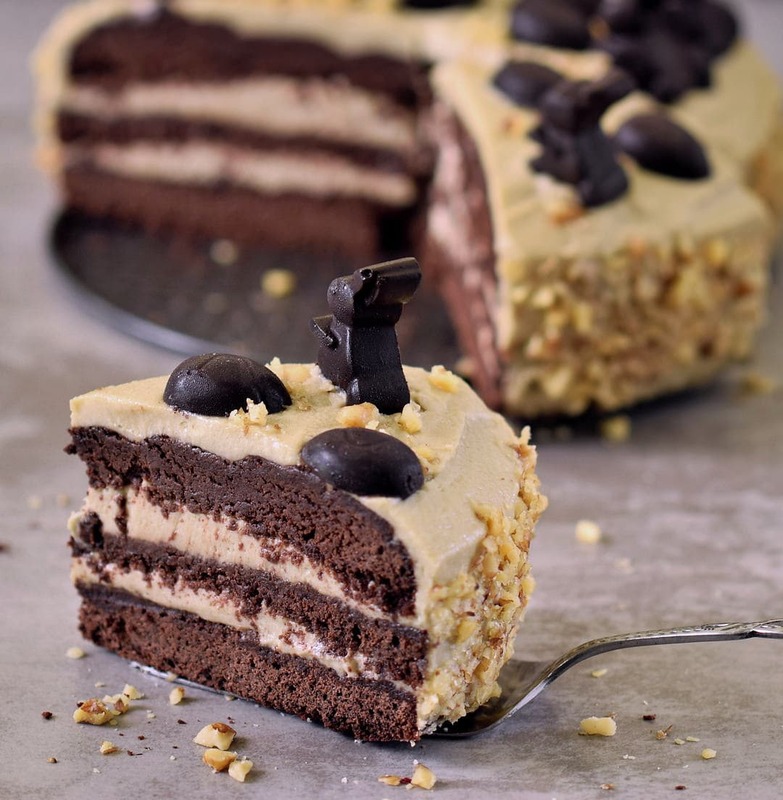 This cake is also a great birthday cake because most people love chocolate AND peanut butter. 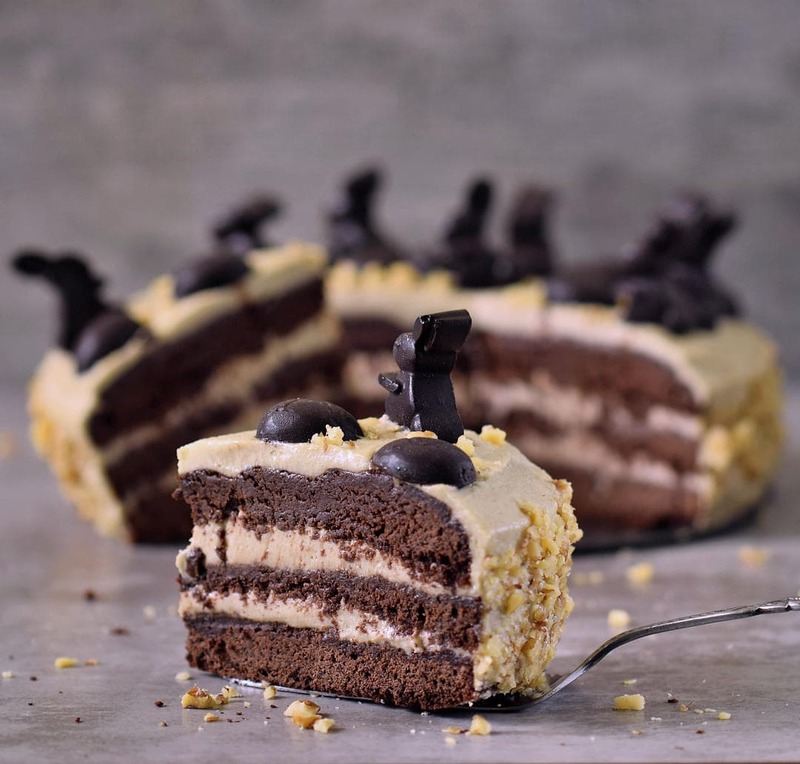 But you can actually enjoy this cake on any day of the year because it’s great to indulge on something sweet once in a time. 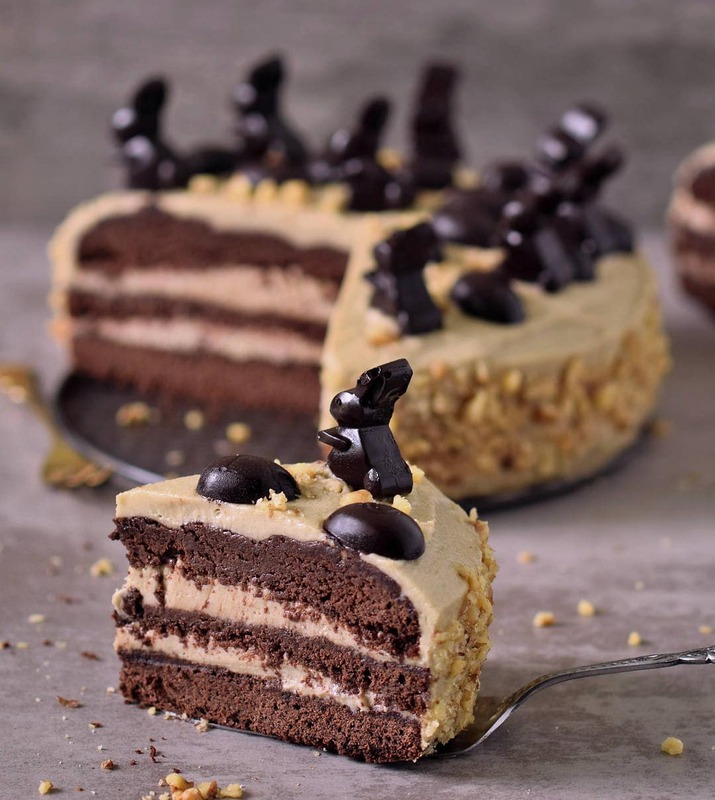 This peanut butter chocolate cake is easy to make and every chocolate and peanut butter lover will enjoy it. If you try it out, please leave a comment below and tag me with @elavegan on Instagram and/or Facebook. Don’t forget to use #elavegan as well, otherwise, I won’t see your post. Peanut butter chocolate cake for Easter! This cake is vegan, gluten-free, refined sugar-free, egg-free, and dairy-free. It's incredibly rich, fudgy and delicious. Put all dry ingredients into your food processor and blend for some seconds. Transfer the dry ingredients into a big bowl. Whisk the wet ingredients together in a bowl and pour them over the dry ingredients. Use a hand mixer or a whisk to mix everything together. Grease an 8-inch springform with some oil or line it with parchment paper. Pour the batter into the springform and bake it in the oven at 356 degrees F (180 degrees C) for about 40 minutes (check the center of the cake with a toothpick after 35 minutes to see if it's already cooked). Let the cake cool for at least 30 minutes. Then carefully cut cake layers with a big knife. Note: If you have three 8-inch molds, then split the batter into 3 parts and pour it into each mold. This way you won't need to cut cake layers for the frosting. The baking time will be less if you use three molds (about 25-30 minutes). While the cake is in the oven make the buttercream: Process the erythritol (you can use xylitol or white sugar instead) in a food processor or coffee grinder until it's a fine powder. Add milk and starch into a saucepan and bring to a boil. Stir constantly and let simmer for a few seconds (it will get thick). Let cool. Meanwhile, use a hand mixer to whip up the margarine (vegan butter) in a big bowl. Slowly add the powdered sugar, 1 tbsp at a time until nothing is left. You can increase the speed of the hand mixer after a while. Add the peanut butter and once the milk/starch mixture has cooled, add it also slowly to the buttercream while you keep whipping the buttercream for a few minutes. Put the frosting onto the cooled cake layers and assemble the cake. Put more frosting and on top and on the sides of the cake. Decorate it as per your liking. Put the cake in the fridge before you cut it. Enjoy your peanut butter chocolate cake! If you use white sugar you will probably need less (for example 150 grams because regular sugar is sweeter than erythritol). Peanut butter and chocolate is the best combo! Love the chocolate toppings on this cake too Ela! How do i replace the husk ? How do I replace the psyllium? I don’t have rice flour on hand, what can I replace it with?